I love your Spark, but I really love your Awww. 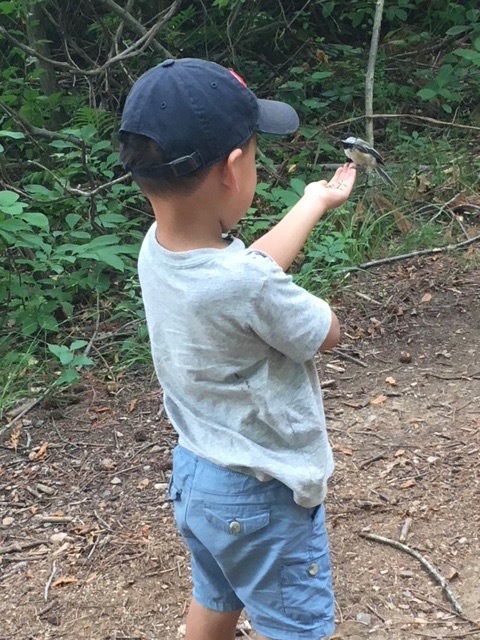 What a great capture of your friends grandson with that bird. Precious. Henry seems off in his own world. Hello, cute photo of Henry with the bird. Enjoy your day and new week! Very cute image and I admire the courage of the bird to feed from the palm! What a beautiful capture. Thanks for sharing this moment. That is precious! He is certainly making the most of himself there, connecting with nature in a very special way. You captured a perfect moment! It warms my heart to see kids interacting with the natural world. AWESOME! wow the bird sitting on his hand is really cool. love the quote, kinda reminds me that we only live once.